Wondering if the small bends and slight separation along the top of the back cover will be an issue. 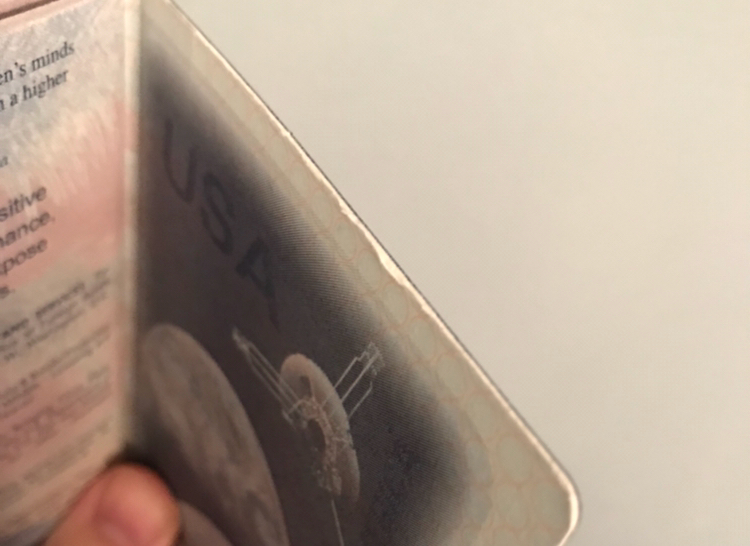 It does not look like a damaged passport (at least just by looking at the picture). If you are still tentative about using it, I suggest you contact the nearest passport issuing centre. There are special passport fairs conducted across the United States. You may want to check one of the upcoming events. I had my front cover of my Indian passport completely separate out from the biographic page and I did not think that would ever be a problem. But then one evening while travelling from India to New York, I was being held at check in and my passport was taken inside for supervisor recommendation. Luckily I was given back my passport and was asked to visit the Indian embassy in NYC for a new passport as soon as I land. However, once i got back to NYC, I just used a glue stick to paste that cover to the biographic page and never had any problem during 4 of my next international travels. Do I need to replace water-damaged passport that has my valid visa?